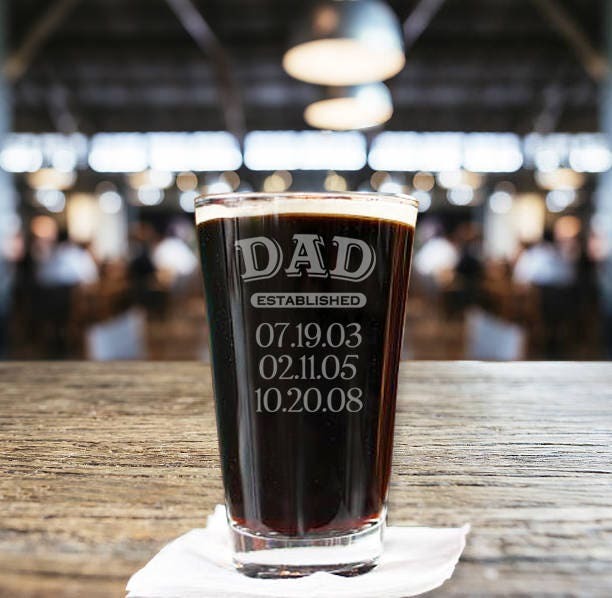 This listing is for ONE personalized pint glass, please choose the quantity needed from the drop down. They are precisely laser engraved directly onto each 16 oz. glass creating a frosted look. Since this is engraved onto the item it will last a lifetime! Great glass and really fast shipping. High quality. Can't wait to give it to my dad along with his other Christmas gifts. I love this! My dad is going to love this as his Christmas present. The owner was very easy to communicate with as well. Looks great!! Was delivered super quick!! Highly recommend !! !